PieRegister Form is a easy form builder plugin of wordpress. We have tried to make easier to send otp to users through PieRegister Form by following easy steps. 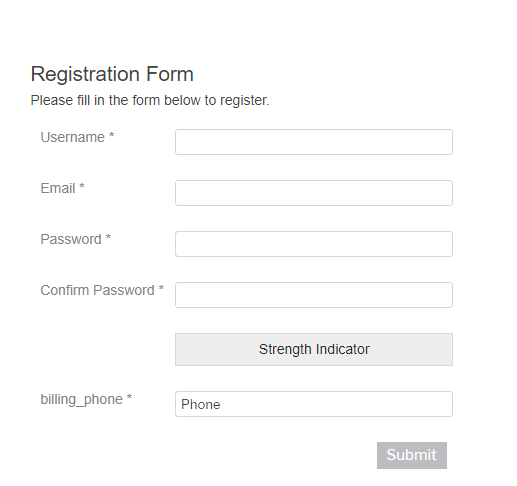 Go to PieRegister Form and create a field with label name billing_phone as shown below screenshot. Now this field will be appeared in your form and now submit the form with OTP Verification.